The cold weather this weekend has got me thinking about the awesome time I had in Waterbury, Vermont two years ago. There are many reasons why I love Vermont….most of which involve food or beer! 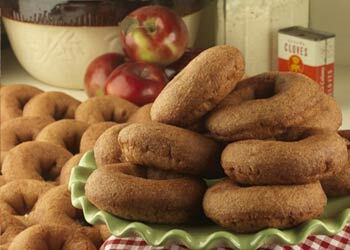 Anyway, during a visit to the Cold Hollow Cider Mill, I had the pleasure of enjoying the best apple cider donuts EVER. As soon as you arrive in the parking lot, you know something delicious is about to happen. You can smell the aroma of freshly baked donuts and apple cider before even getting out of your car. As soon as you walk in, you can see a long line of people at the donut counter. As soon as you place your order, the dough is placed in the “cooker”. A few short minutes later, the warm, fresh donuts are placed in a bag and delivered straight into your patiently waiting hands. It doesn’t really get any fresher than that. The donuts are the perfect combination of crispy on the outside and soft on the inside. I would literally make the 4 and 1/2 hour drive to Waterbury, VT and return to Jersey the same day just to enjoy these incredible donuts. The Cold Hollow Cider Mill also sells many other varieties of yummyness. 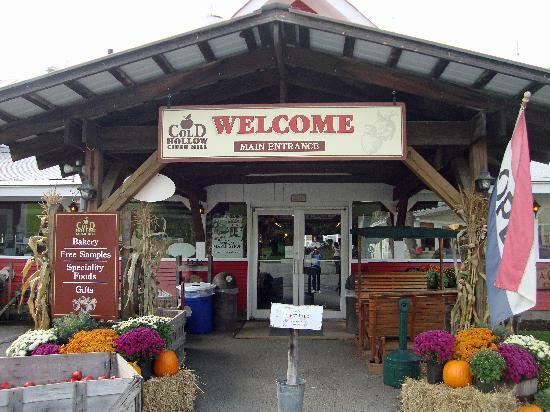 Such as maple syrup, apple cider, fudge, jams and jellies, all of which can be ordered through their website at http://www.coldhollowcidermill.com . You can even order the donuts! But of course they will lack the “seconds out of the fryer” freshness!